On Aug. 13, 1958, the Diocese of Miami was created, with 51 parishes, 65 diocesan priests, and 21 religious order clergy ministering to 185,000 Catholics in 16 counties in southern Florida. Most of the rest of the state was covered by the original Diocese of St. Augustine. Bishop Coleman F. Carroll, formerly Auxiliary Bishop of Pittsburgh, was installed as Miami’s first bishop on Oct. 7, 1958, at the newly-elevated St. Mary Cathedral. He immediately moved to build the first minor seminary in the southeastern United States, St. John Vianney College Seminary in Miami, which was dedicated just 13 months after Bishop Carroll’s installation. The major seminary of St. Vincent de Paul in Boynton Beach, which now serves every diocese in Florida, opened its doors four years later, in 1963. Between 1958 and 1963, Bishop Carroll led the new diocese through a tremendous program of expansion. Those first five years saw the number of parishes nearly double, from 51 to 94, and the number of priests more than triple, from 86 to 305. The church in South Florida also grew due to the tremendous influx of Cuban refugees and Catholics from the northern United States. The diocese bore the brunt of the Cuban exile exodus for a full year prior to receiving federal government assistance. Between 1960 and 1962, Catholic Charities, led by Msgr. Bryan O. Walsh, welcomed, cared for, and placed with temporary guardians or family members more than 14,000 unaccompanied Cuban children in what became known as the Pedro Pan exodus. Most were later reunited with their parents. 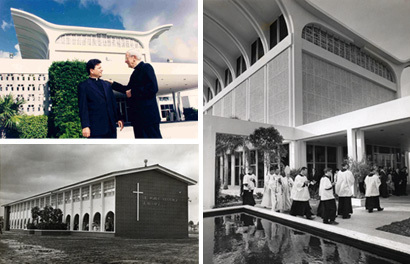 On May 8, 1968, the ecclesiastical Province of Miami was established. The Diocese of Miami was elevated to the rank of archdiocese and two new Florida dioceses were created, Orlando and St. Petersburg. Miami yielded eight counties to the new dioceses. It now consisted of 85 parishes and 10 missions; 164 diocesan priests, 141 religious order clergy, and about 900 women religious served a Catholic population of 400,000. 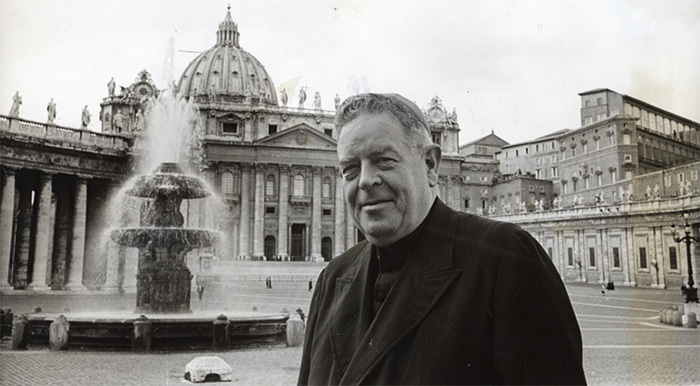 By the time Archbishop Carroll died in office, July 26, 1977, the diocese had turned into a booming metropolitan see with more than 700,000 Catholics in eight counties. During his tenure, Archbishop Carroll founded close to 100 new parishes, an incredible pace of five a year.